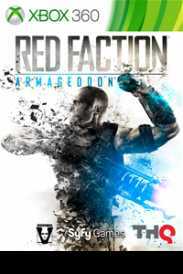 You will receive an e-mail alert when the price of Red Faction: Armageddon will drop. The Games on Demand version supports English, French, Italian, German, Spanish, Japanese.Mankind finds itself poised on the brink of extinction deep underground. Darius Mason is humanity’s last hope for survival.